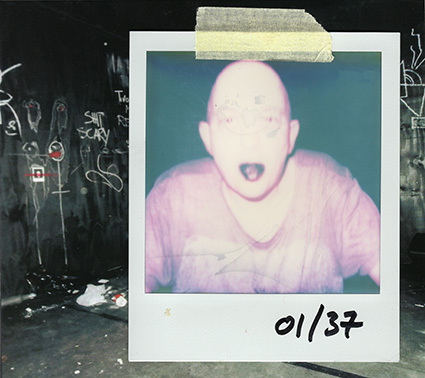 Artist edition of 37 signed copies (#1-37/93) include one original polaroid photo of a visitor to the "Waiting Room". Some copies also include a handwritten note or drawing left behind. The first release on Edition Löwenwall / Psychic Expansion, a new adventure by Daniel Löwenbrück & Joachim Nordwall. Edition of 93 numbered copies in fullcolour six-panel digipak. This CD documents the last 70 minutes of the first day of the festival. Recorded about 5 hours after the opening and after Löwenbrück having shared 3 bottles of vodca with two dozen visitors.